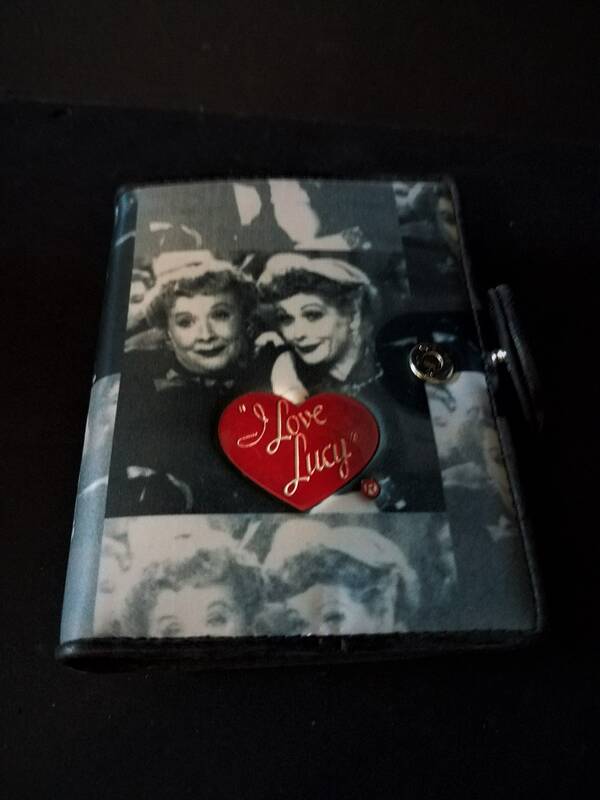 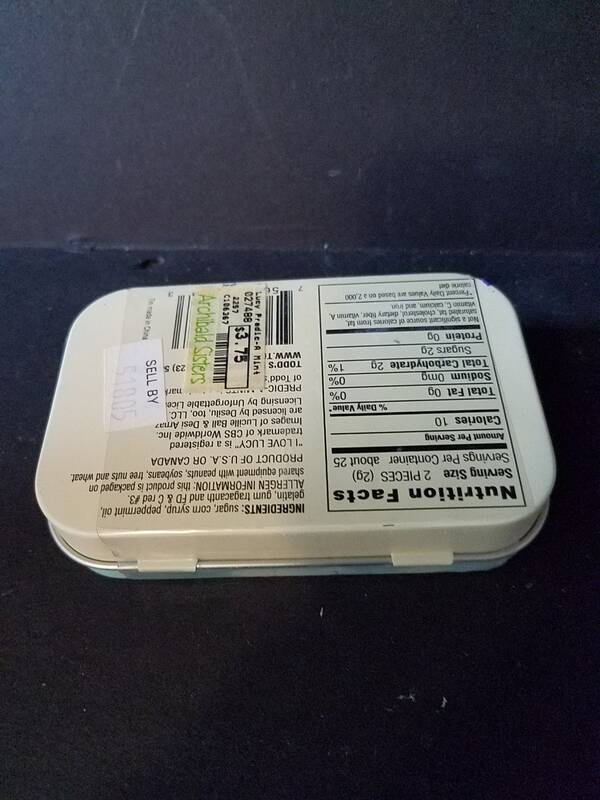 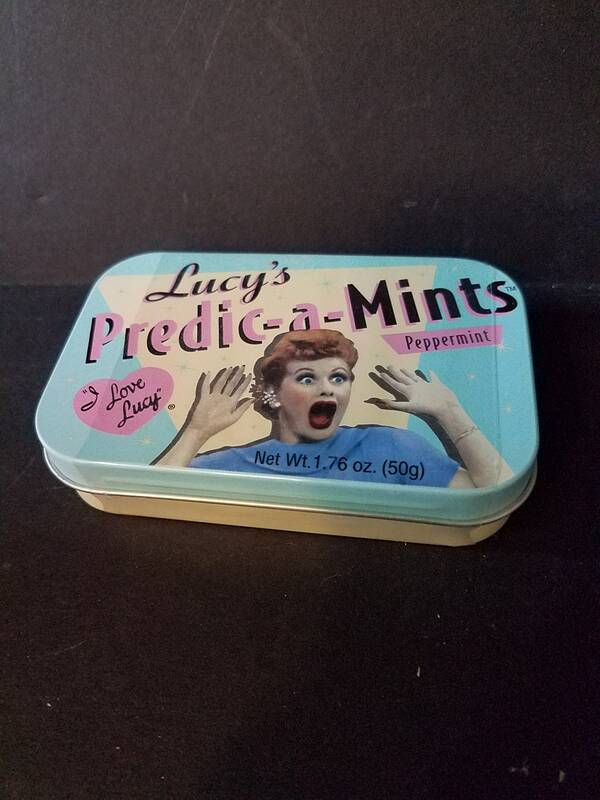 This is an official I Love Lucy Wallet and unopened mints and tin with plastic still on tin. 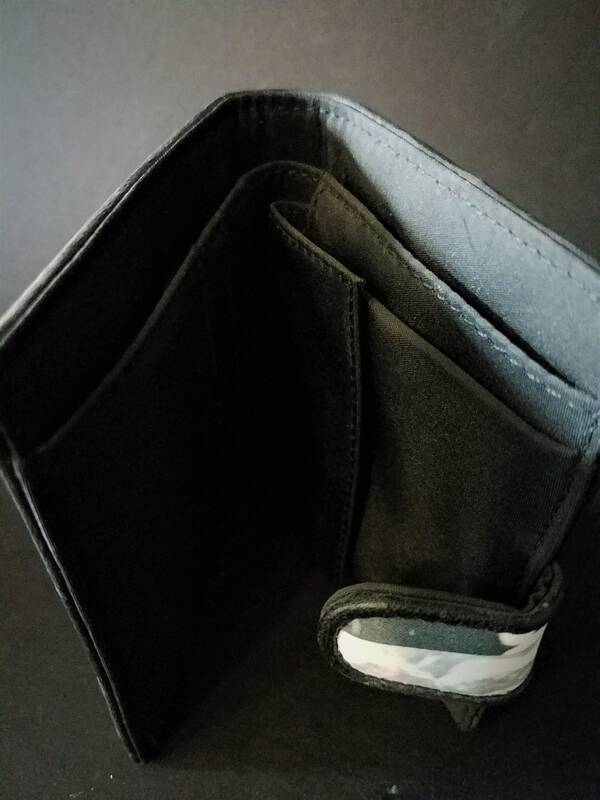 The wallet is a fold over snap close wallet, 7.75" long when open and is 4.5" wide. 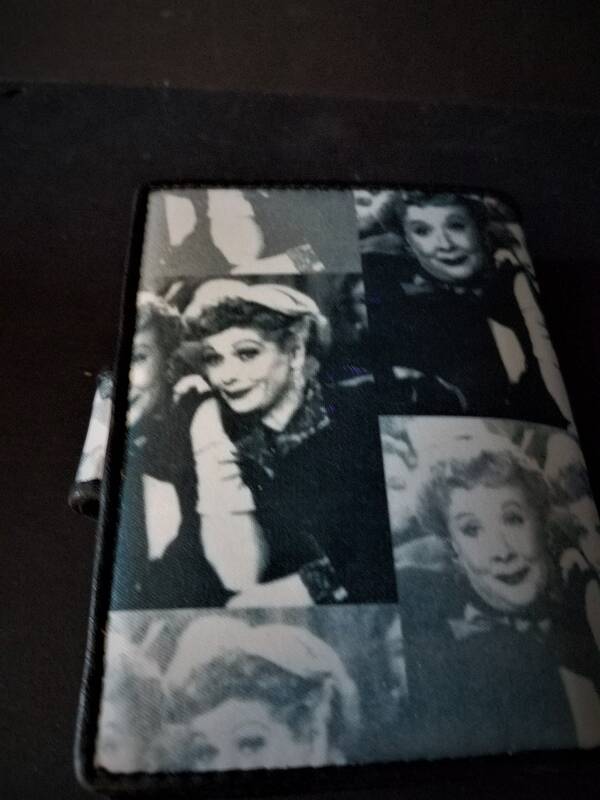 It has a coin purse with velcro, credit card inserts and a place for bills.